"People have come and they have slept out in the streets in order to witness a wonderful occasion, they want to be as acknowledged or as involved as they possibly can and to have someone waving at them means they've been seen"
This July 29, 1981, photo shows the royal couple, the Prince and Princess of Wales, with their young attendants on their wedding day. Sitting, left to right: Catherine Cameron and Clementine Hambro. Standing, left to right: Lord Nicholas Windsor, Edward Van Cutsem, Sarah Jane Gaselee (front), India Hicks (back), Prince Edward, the Prince and Princess of Wales, Prince Andrew and Lady Sarah Armstrong-Jones. Hicks spoke to E! News about what the experience of being a bridesmaid was like. 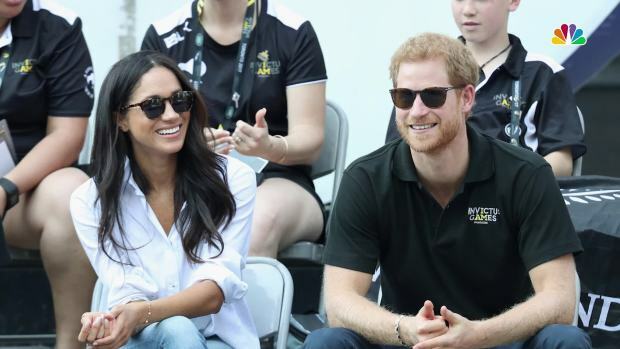 It's one of the biggest decisions Meghan Markle will get to make about her wedding day: who gets a coveted spot as one of her bridesmaids on May 19. Kate Middleton chose her sister, Pippa, famously making her younger sibling's derriere one of the biggest headline grabbers of the day. Prince Harry will likely follow suit and have his brother as best man at the ceremony, due to take place at St. George's Chapel in Windsor Castle. In recent years it's become tradition for children and teens to take center stage at history-making nuptials, so we fully expect Prince George and Princess Charlotte to be a pageboy and flower girl at the ceremony. Meghan is also likely to have her best friend, Lindsay Roth, by her side; other top contenders include stylist Jessica Mulroney and Violet Von Westenholz — which would be a lovely gesture considering it was Harry's childhood pal who played matchmaker and introduced the lovebirds. But being a royal bridesmaid doesn't just mean you get to accompany Meghan to dress fittings and organize a glamorous bridal shower for her A-list friends (which include Serena Williams and Priyanka Chopra), because taking part in one of the biggest weddings of the decade also requires nerves of steel as you try to remain composed while a global audience of billions watches you carry out your duties. For E! News' latest installment as we count down to Harry and Meghan's wedding, we spoke to one of the most famous royal bridesmaids of the past century, India Hicks. Now she runs a successful business designing products that empower female entrepreneurs, but when she was just 13 years old, she was bridesmaid at the 1981 wedding of her godfather, Prince Charles, and his bride, Princess Diana. 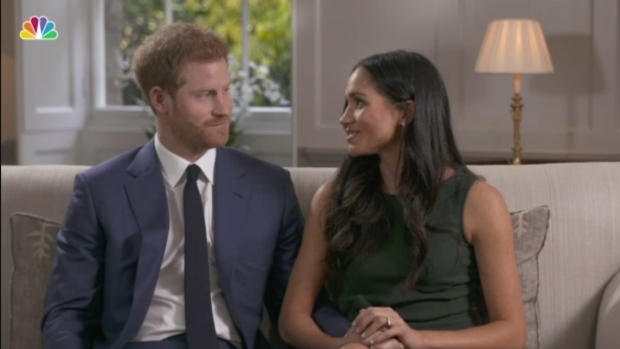 Hicks recounted some of her memories from that historical day and shares what she thinks the future holds for Meghan and Harry. Can you remember the day you were asked to be bridesmaid? I distinctly remember I was in the Bahamas and Prince Charles rang me and said, "Would you like to be a bridesmaid?" Did you understand the importance of the occasion? Not at all. 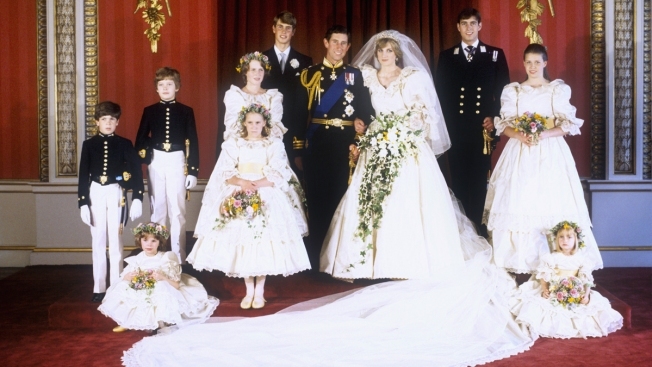 That wedding is so weighted in history for all sorts of reasons, the enormity of it, the fairy tale-ness of it, nobody knew what was going on underneath, and an heir to the throne just like William and Kate. It was so much bigger than I imagined it to be. When I look back, and I think, "Oh my God' my head [is on] a piece of a jigsaw puzzle now." That's kind of weird. I rode in a horse-drawn golden carriage; my life is so different now. It was amazing but, no, I didn't appreciate the enormity of the occasion back then. When did things start to sink in? I was asked in April, the wedding happened in July. I got back to boarding school and would be taken out for these dress fittings and rehearsals. For the rehearsals, we arrived to the steps of St. Paul's Cathedral and the press was just barmy, trying to get photographs; the pushing, the shoving and all of that was slightly unnerving. That was so remote from the idea of my godfather getting married and then the media circus that goes along with it. Your mom [Lady Pamela Hicks] was also bridesmaid to The Queen in 1947. I think we're the only mother and daughter who have been bridesmaids [to British royalty] so that's quite fun. Not at all, interestingly. In those days it was fashionable to have older bridesmaids. But, no, the only thing she did was tell me to remember to wave, "You must wave," and that to me was really awkward because, you're 13 years old and you're sitting in a carriage and you're doing that ridiculous wave and you don't know how to wave. Do I wave like this? Do you wave like that? But my mother was right, her point was people have come and they have slept out in the streets in order to witness a wonderful occasion, they want to be as acknowledged or as involved as they possibly can and to have someone waving at them means they've been seen. Can you remember meeting Diana for the first time? It's hard to say exactly. There are lots of things I remember about Diana at that time. I remember very distinctly her fragrance, she wore this fragrance called Tea Rose made by Perfumer's Workshop, and it was very potent. I remember also the windows being blacked out at [wedding gown designers] Elizabeth and David Emanuel's salon because they had press had camped out and it was really weird. Tell us about the night before the wedding. The night before there was the royal fireworks, which the whole of England was invited to, but there was a royal enclosure. The fireworks were incredible and it was all set to Handel's music and it was just spectacular. It was a warm evening and the mood was amazing because there was this overwhelming amount of people together for a joyous occasion. It was so uplifting. Afterwards I was meant to get back across Piccadilly to stay at my parents' house in order to be ready for morning but, because of the crowds, it was chaos. Princess Margaret said, 'India should come and stay with me.' My mother thought it was the perfect plan as I can get to bed nice and early and it would be super comfortable because it's the Palace. Of course, Princess Margaret was entirely practical and saw a 13-year-old, grubby little schoolgirl and thought, "I'll put her in the nanny's room," which was a tiny little single bed--so not quite the luxury my mother had been anticipating. But, nevertheless, she was very nice and I do remember the moment Princess Margaret came, very sweetly, to the door in her dressing gown and offered to lend me her toothbrush. Her actual toothbrush...that she had already used? Yes. It was so sweet and so horrifying all at the same time. I don't think I did it, I think I used my finger. Tell us about the day of the wedding. I woke up pretty early and I remember going with [Princess Margaret's daughter] Sarah, which was really nice, she's lovely. We turned up at Clarence House and it was mayhem again with footmen and butlers and hairdressers, and all the swirling dervishness of a wedding, on top of it being a royal wedding in a royal household. Had you slept the night before? Were you nervous? I hadn't slept very much. I was nervous because I'm not home, and where are my pajamas?! There was another moment that really stuck out, Diana had her tiara on as she was getting ready and there was a little fuzzy TV and the Cornetto ice cream advertisement came on and we all just stopped and sang along, that was really fun. I also remember David Emmanuel under Diana's skirt trying to get the petticoat on, once she got the dress on, and he's under this huge balloon skirt when Princess Margaret and the Queen Mother came into the room, and he's under the skirt and they didn't realize he was under there and he crawled out and introduced himself. I remember Diana getting to the bottom of this huge sweeping staircase in Clarence House and she paused and said, "I'd like a glass of water." People always say, "Do you think she was nervous?" And that was the moment...she hadn't seemed nervous before then, she had been really relaxed upstairs as she got ready. After the ceremony, Diana went upstairs to change and I went with her. She was putting on that blue dress and we were putting away the other dress and all of that felt really fun." The two families coming together and how everybody was just wanting it [the marriage] to work and just believing in it. Even when Charles and Diana got into the open carriage to leave and they went across the courtyard in Buckingham Palace and I remember the noise made by the crunching of the wheels going across the gravel. [Princes] Edward and Andrew had tied coke cans and a "Just Married" sign to the back of the carriage. Then Princess Margaret, the Queen and the Queen Mother were running after the carriage in excitement. It was a very real moment of that family being really normal. I think sometimes we forget that members of royalty are just normal people. One nice bit that my mother told me, is when the Queen got married and her and Prince Philip got in their carriage to leave, her corgi, Susan, was under the blanket when she got into the carriage. You were 13 at the time, which can be such a difficult age; do you remember Diana saying anything to you about how you should act, or telling you not to be nervous? I was so awkward. No, I had been chosen because of Charles. She was much more, and rightly so, focused on the younger bridesmaids and the ones she knew. Is it true you ended up missing the wedding reception? It's true and its interesting because it really does indicate that there was some pressure because I was tired when I got back [from the ceremony] and I took my dress off, and my mom was like, 'Why don't you lie down for a little bit.' And I woke up and it was midnight, and everyone was gone. I couldn't believe it. I couldn't believe I'd missed my first big ball. I was so annoyed at my mother. Do you have any advice for Meghan about the big day? Meghan is a very capable person, clearly. She's had all of the kind of coaching, funnily enough, that will stand her in good stead. She knows how to work a microphone and a crowd. Even being a little bit of an actress is probably a good thing. But in the long term, when the excitement and the press attention and the wedding and the babies, and those sort-of exciting years, are over, what happens then? What keeps her there? What keeps her attention? Obviously, hopefully, love and a strong marriage. But I have this business that's all based around women having second careers and what do women do when their kids grow up, and the attention's off them, how do they stay relevant? Meghan and Harry have a real opportunity to build a platform around shared passions. Is it mental health? Is it helping voices in communities that don't have voices? 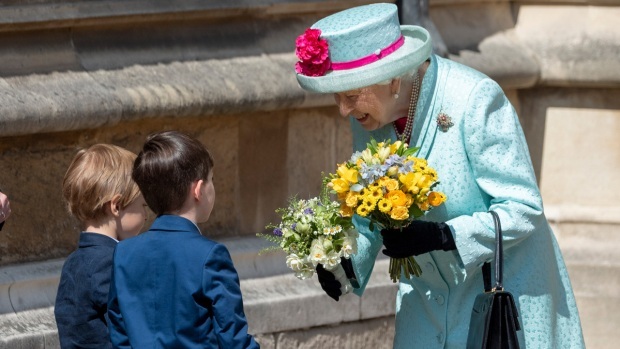 They can really modernize the monarchy because of all of the things she's bringing with her, and because of what he's inherited from his mother and his father; they're very compassionate. So I think together, they can build themselves a career in a job that doesn't offer a career, in a position that is appalling because you're the second. You're the spare. It's a very difficult role. If we look at Andrew and Fergie [Sarah, Duchess of York]...you can become quite lost in it. If they built something, then that will keep her there, keep her focused, make her feel empowered and like she's achieved something...because otherwise, if you've just inherited that position, for somebody who's clearly a modern woman, you probably want a bit more for yourself. That could be really compelling--and really good for herself, for the family, for the British monarchy and the world. For more on what it's really like to be a bridesmaid at a royal wedding, watch "E! News" Thursday at 7 and 11 p.m.
Jimmy Fallon pens thank you notes to co-workers who put up mistletoe, hot chocolate and other things.